4)This man became Emperor following the dying out of the Julio Claudian Dynasty. a) who was the last of the Julio Claudian Emperors....? 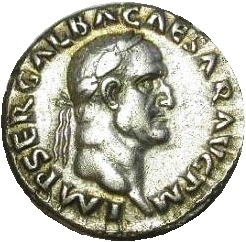 b) Who was this Emperor (shown on the coin) who succeeded the last of the Julio Claudian Emperors? c) Who offered him the Imperial throne..?